A devoted chamber music collaborator, Carol Rodland enjoys working with many wonderful musicians and a wide variety of repertoire. Here is an introduction to four of her most long-standing musical partnerships. All are available currently for concerts and residencies. The Rodland sisters, Carol, violist, and Catherine, organist, began making music together as children. Their individual careers as award-winning performers and teachers have taken them all over the world, and they began performing together professionally as the Rodland Duo in 2002. Recent Rodland Duo performances have included residencies and recitals throughout the United States, both in university settings such as the Eastman School of Music, St. Olaf College, Indiana University, the University of Michigan, the University of North Carolina School of the Arts and the University of Alabama in Tuscaloosa, and on concert series in various churches and other venues which house organs. They were featured recitalists at both the 2016 American Guild of Organists National Convention in Houston, Texas, and at the 2016 American Viola Society Festival in Oberlin, Ohio. They have also performed at the Luna Nova New Music Festival in Memphis, Tennessee, and at the 38th International Viola Congress in Cincinnati, Ohio, and have been featured on National Public Radio’s "Pipedreams". Critics have called The Rodland Duo’s performances "stunning" and "beyond praise". American Weavings, their acclaimed album on the Crystal Records Label of mostly world-premiere recordings of works written for them, led Gramophone to declare viola and organ "an awesome combination". The Rodland Duo is actively engaged in commissioning new works for their unusual combination of instruments as well as in creating their own arrangements of existing compositions. Their repertoire spans the gamut from the Baroque to the contemporary. Because organs vary so widely, they adapt their repertoire to each individual venue. When a venue houses a tracker-type organ, the Rodland Duo includes a variety of Baroque-style repertoire, such as the complete sonatas for Viola da Gamba and Harpsichord of Johann Sebastian Bach, sonatas for viola and harpsichord of Carl Phillip Emmanuel Bach, arrangements of Marin Marais French Dances, and Daniel Pinkham’s Sonata Da Chiesa. Some of the works commissioned by the Rodland Duo were written explicitly for a tracker-type organ, including David Liptak’s “Ballast”, composed in 2015. When invited to play on a romantic-style organ with orchestral colors, their programs include their own arrangements of works for viola and orchestra, including Max Bruch’s "Romance", Benjamin Britten’s "Lachrymae", and Alan Shulman’s "Theme and Variations". Their arrangements of chorale preludes by Bach and Brahms are audience favorites. Other original works that have been composed for the Rodland Duo include "Teshuvah" by Christopher Gable, and "Concertpiece" and "Three Chorale Preludes" by John Weaver. In addition to their active performing careers, both Carol and Catherine are dedicated teachers: Carol is Professor of Viola and Chamber Music at the Juilliard School in New York City and Catherine is Artist in Residence in Organ and Theory at Saint Olaf College in Northfield, Minnesota. Their numerous individual accolades include top prizes at international competitions, such as the Washington International Competition, the Artists International Auditions, the American Guild of Organists National Competition, and the University of Michigan Organ Competition. Their students have been top prizewinners at various competitions and occupy prominent positions in their fields. The Rodland Duo offers individual master classes in addition to concerts, when invited somewhere for a residency. They are represented by the Concert Artist Cooperative. ( Please visit http://www.concertartistcooperative.com ). Carol and Tony met in 2002 at the Craftsbury Chamber Players Summer Music Festival in Vermont, where they recognized immediately a deep kinship on both musical and gastronomical levels. They decided a recital partnership was essential and played their first duo concert at the Killington Music Festival in 2003. Subsequent engagements have been at Boston’s Jordan Hall, at Eastman’s Kilbourn and Hatch Halls, at Swarthmore College, at Bowling Green University’s “Viola Day”, and on WXXI Radio’s “Backstage Pass”. One of the highlights of their lives as a duo was working with Tony’s dear friend George Rochberg on Rochberg’s famous Sonata for Viola and Piano shortly before the composer’s death in 2005. Marcantonio Barone enjoys an international performing career as a soloist and chamber musician. 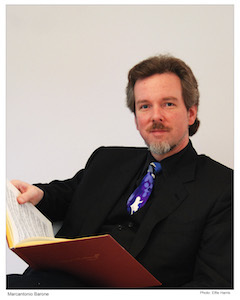 He is on the faculty of Swarthmore College and is Assistant Director of the Bryn Mawr Conservatory of Music. Carol and Scott began their musical partnership as students at the Juilliard School in 1989. They share an aesthetic of sonority, a passion for contemporary music, and a strong commitment to community service and education, which has led to some truly unique collaborations over the years. Venues where they have performed together include Boston’s Jordan Hall, the Craftsbury Chamber Players Summer Music Festival, the Killington Music Festival, Yale University, the University of South Florida, WUSF Radio, and the Eastman School of Music, as well as elementary schools, nursing homes, and cancer wards. Their performances have been called "top-shelf wonderful" and their critically acclaimed duo album "Dialogue" was released in 2015 on the Crystal Records Label. Both Carol and Scott are Artistic Directors of "If Music Be the Food…" food bank benefit series in their respective cities. 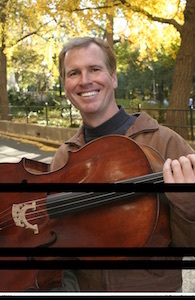 A graduate of Harvard University and the Juilliard School, Scott is a renowned concert and recording artist and teacher. He is Professor of Cello at the University of South Florida. Carol and Tatevik first played together in 1998, when Tatevik auditioned for an accompanying faculty position at the Hochschule fuer Musik “Hanns Eisler” Berlin, where Carol was Guest Professor of Viola. Carol “accompanied” Tatevik on the first movement of the Brahms F Minor Sonata. It was musical love at first phrase, and they have been playing together as a duo ever since. Performance highlights of their long partnership have included recitals at Weill Recital Hall at Carnegie Hall and at Merkin Concert Hall in New York, at the Eastman School of Music’s “Women in Music Festival”, and at the Musikfestspiele Saar in Germany. In 2007 they released their first album, “Viola Swirl”, on the Crystal Records Label. Critics have called their ensemble “flawless” and “superlative”. 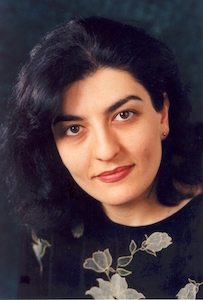 A native of Armenia, Tatevik is a graduate of the Komitas Conservatory in Yerevan and the Staatliche Hochschule fuer Musik Freiburg. She enjoys a multi-faceted career as a performer and teacher and has been Professor of Collaborative Piano and Piano Chamber Music at the Hochschule fuer Musik und Theater Saar in Germany since 2001. The daughters of professional musicians, the Rodland sisters began making music together as children. Their individual careers as award-winning performers and teachers have taken them all over the world, and they began performing together professionally as the Rodland Duo in 2002. Recent Rodland Duo performances have included recitals at the Luna Nova New Music Festival in Memphis, Tennessee, at the 38th International Viola Congress in Cincinnati, Ohio, at Indiana University, the University of Michigan, and the University of North Carolina School of the Arts. The duo will be featured at the 2016 American Guild of Organists’ National Convention in Houston. Actively engaged in commissioning new works for their unusual combination of instruments as well as creating their own arrangements of existing compositions, their repertoire ranges from the Baroque to the contemporary. Critics have called the Rodland Duo’s performances “stunning” and “beyond praise”. American Weavings, their recently released recording on the Crystal Records label, led Gramophone to declare viola and organ “an awesome combination”. 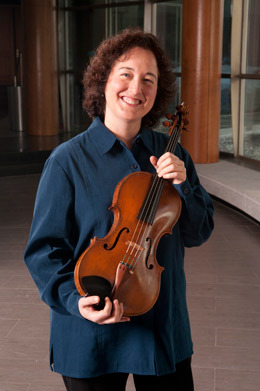 Catherine is a graduate of St. Olaf College and the Eastman School of Music, and enjoys a varied international career as a performer and teacher. 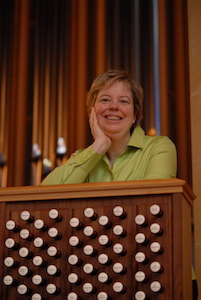 She is Artist-In-Residence in Organ and Theory at St. Olaf College.